ఉద్యోగి రక్త దానం చేసినపుడు ఇవ్వవలసిన spl.C.L ఎవరు ఇస్తారు ? GO.Ms.No.137, Dated: 23-02-1984 ప్రకారం రక్త దానం చేస్తే C.L మంజూరు చేసే అధికారే spl.C.L కూడా మంజూరు చేస్తారు. Establishment-Special Casual Leave to Blood Donors-Sanction Orders-Issued. 1. From the Directorate General of Health Services, Govt of India’s Lr.No.Z.20015/6/82, B.T.Dt.24-08-. 2. From the DH & FW. Lr.Rc.No.86762/P1-B/83, dated: 25-10-1983. 1. 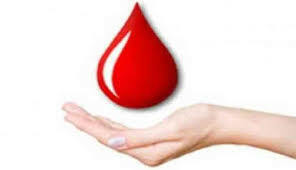 The Government of India, Ministry of Home Affairs have decided that a Government Servant, who donates blood on a working day should be granted special casual leave for that day and the Director of Health Services, New Delhi and the Director of Health and Family welfare, Hyderabad have recommended to sanction special casual leave to the Blood Donors on the basis of the said orders issued by the Government of India. 2. The Government accordingly direct that “Special Casual Leave” be sanctioned to all the State Government employees, working in the State Government undertaking and to the staff working in Local Bodies in the State as well as Corporations in which State Government has its say and interest, for one day i.e., the day on which the blood is donated by the individual employees, subject to condition that certificate be attached to the leave application. 3. This order issues with the concurrence of Finance and Planning Department vide their U.O.No.747/11/A2/F.R.I./84.